A few weeks ago I went to a bunko night at my LQS. I had never played bunko before and frankly gathering with women made me nervous, but I needed to get out of the house. Much to my surprise, I won the most amount of games that night! 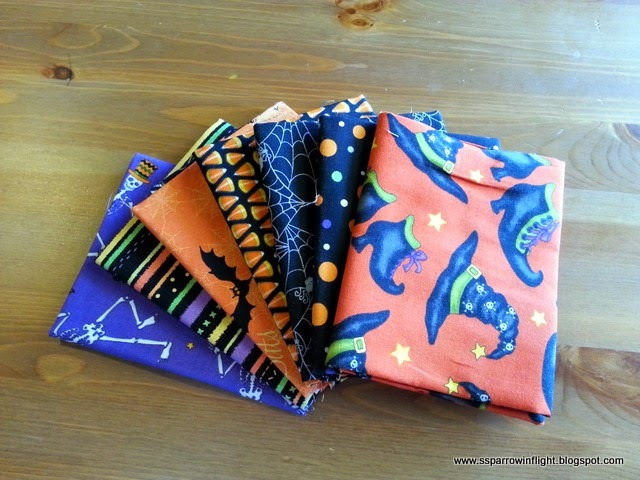 For this I won a bundle of fabric containing 7 Halloween FQ's! 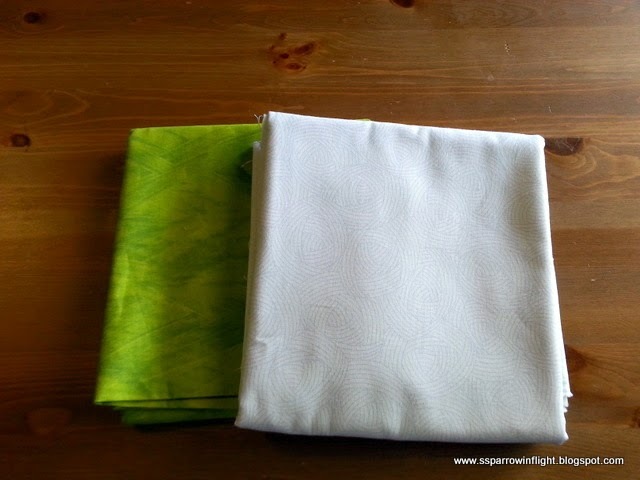 I also purchase 1.5 yds of the white print and 1 yd of the Green watercolour print (below) to help me make something. We have no Halloween or fall décor for that matter around our house, so I am excited to get working on a particular project--a pattern testing.